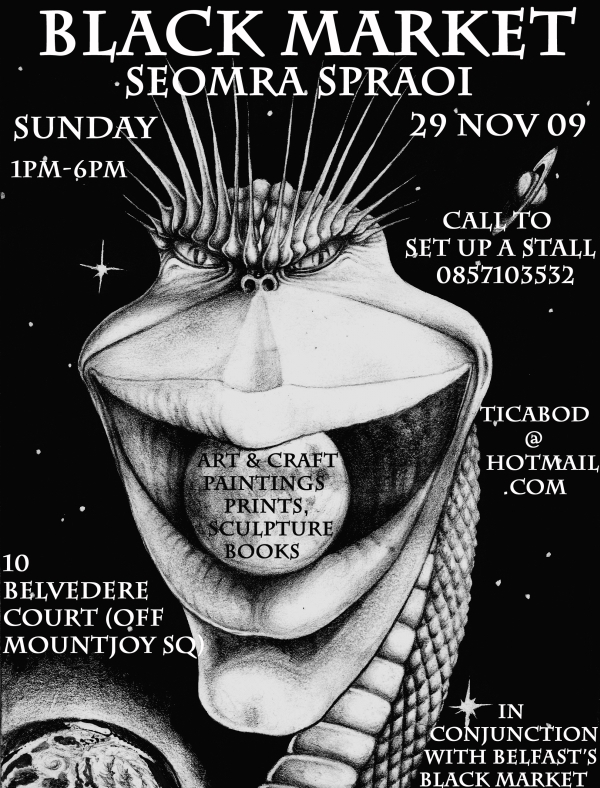 On Sunday 29th of November, the Seomra Spraoi social centre will once again be host to a collection of artists, sculptors, zine nerds, record collectors and purveyors of bric a brac and assorted oddities. The market will be run in conjunction with its sister market of the same name in Belfast which has been running very successfully for a year now. It is run on a purely DIY non-profit basis with donations going towards the running of Seomra Spraoi itself. Or indeed if you would like a stall of your own please contact us by email: ticabod@hotmail.com, or by phone, 0857103532.